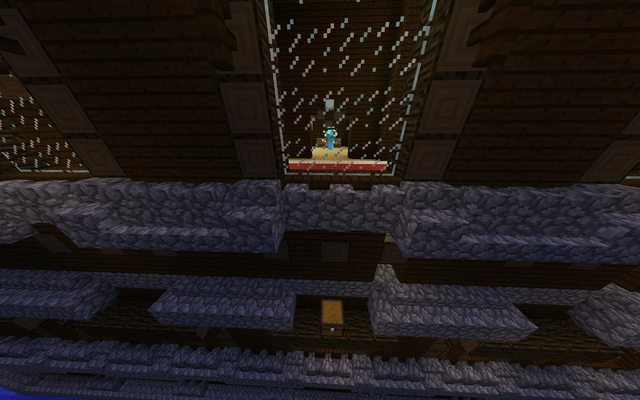 A new event on the server is the Woodland Mansion Raid. Woodland Mansions are a new structure introduced in Minecraft 1.11. Due to the fact that we've already reached maximum map size for the over world and the incredible rarity of Woodland Mansions, I've decided to set up an event around them. Woodland Mansions offer some perks, such as Totems of Undying when you kill one of the new mobs inside of them. A deed is something I've personally introduced into the game. Towny allows Admins to give out bonus plots, basically allowing a town to expand beyond it's maximum limit. The deeds I put in the mansion will vary between 1-5 extra plots. The harder it is to find, the more plots you earn. 1 plot deeds will be the most common, so don't get your hopes up for anything more than that too often. If you find a deed, you may give it to comic to have those plots applied to your town. Or, you may sell it. Nothing! Mansions can consist of these prizes. Just because it's on this list doesn't mean it's going to always be in a chest somewhere. There could be a Mansion that has no Elytra, there could be a Mansion that's loaded with Lapis or with a little bit. Prior to this topic, I used to say what was available in the Mansion but going forward I won't say what's there to find. You have 20 minutes to conquer a Hard difficulty Woodland Mansion. There are chests with items throughout. Be careful as there plenty of mobs - and maybe traps! - trying to kill you. This is not a vanilla Mansion. 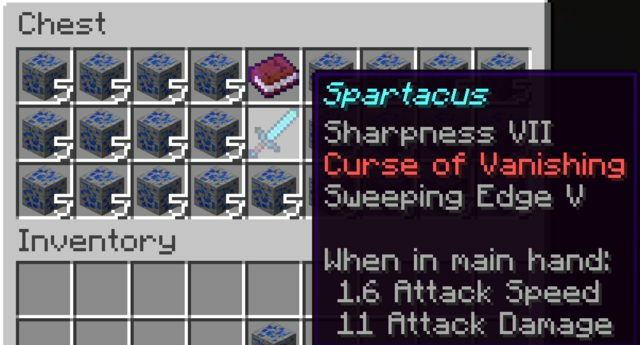 An admin will have spent time putting items into chests, placing new chests and, possibly laying traps. Play as if you will not be brought back into the Mansion world. Play carefully, play smart. If you play with a team mate, communicate! Explore and be thorough. A team of 2 enters the mansion. You can either work as a team or compete against each other. 20 Minutes to conquer the mansion. If you die, you can't come back in. Any armor, weapons and, potions are permitted. Can more than two people play? I died before I even entered the mansion! This will be evaluated on a case by case basis, but assume no. I'm going to sneak some items in! While this won't disqualify you, I will check your inventory prior to the match starting. Forbidden items may or may not be given back. What is the time between games? It depends! I reset the woodland mansion after each match and consequently re-hide items. So it may be 30 minutes or so. If there's enough prior interest I may prep a couple woodland mansions for back-to-back events. Usually this event will be around for the weekend and then not return for a while. No! You may not play twice in the same day. I died! Can I at least get my stuff back? No! I suggest you play with a team mate so they can pick up your items and that you play with gear and items you are comfortable losing. From the few rounds we've done, it seems to be relatively easy! Just play smart and be aware of your surroundings. Feel free to use this topic to discuss raids and post screen shots! Having done a few of these raids back in the first run, they were a lot of fun to run around in. While these runs were fairly easy, I do recommend that people take their time and evaluate their way while running around to make sure you don't get overwhelmed. There is just too many chances to be overwhelmed while running. If one is methodical, you can easily cover the whole mansion in the 20 minutes with your partner, and search around many of the area. I am hoping that there will be some prior planning on times for these events as well for people who might have limited playing time. There are people who would love to be in I know, but have to decided what their game time might be around their other activities of the day. A little warning helps setup a day if one can. Also, let me know if I can be of any help in running these events. I would be willing to help prep the next mansion or watch the current event while the next one is being prepped to help keep these moving. Thanks Rivereye, I'll keep that in mind as that will certainly help! I plan to do these over the weekend, it's still a learning experience as it is a new type of event. Ran across a situation that wasn't possible when I first ran this event a few months ago thanks to some recent plugin additions so I hope to figure out a way around that issue before tI continue the raids over the weekend. As far as advanced notice, I think it'd be a wonderful idea to put together a calendar of events. It'll help me stick to a schedule and let our users know what to expect. Maybe I'll fill out a calendar for the next two months and see how that goes. I just had a very fun time with Elemental in the Mansion world, and while we got a lot of good stuff, I also did spectacularly well at dying. That video will be up on my YouTube channel sooner or later (I'll post it here when it is), and we have been brainstorming some better approaches for next time. I've participated in two raiding events so far, and they've probably been the most fun I've had of the server. The difficulty isn't too hard, and the rewards are pretty great. I'm interested in what did you in. I didn't have any trouble myself, and that was with ignoring creepers and getting surrounded by ~20 zombies. I have a few ideas in my head as to how I'd like to see the Mansion conquered. Without giving concrete ideas, I'd love to see teamwork. When I watch people play, they always split up. Maybe that's their strategy and how they want to tackle it; I think it's wrong. I can't wait to see what you two come up with! This was my bad. I was gunna stay mum about it but I must come clean. I believe your Mansion was on Normal while Kerm and Elemental was on Hard. I was watching you guys while tifreak watched Kerm and Elemental, you two were able to survive quiet a pounding by the mobs. It is what it is now and I've learned where I went wrong regarding the difficulty and it shouldn't happen again. Okay, that makes sense. I can't wait to try out a Hard mansion! Here's some photos from todays raids! The grand prize no one found. The book was a deed for 4 bonus plots! Sometimes you gotta think outside the box. Don't forget, you have 20 minutes! It was a great weekend of raids. I look forward to your feedback so we can make the next one better! The difficulty was perfect for an experienced two-person team. Sadly, as a single person, I was not able to make it to the third level*. Nevertheless, I look forward to doing more of these! Edit: That's genius hiding! Also, I don't think 20 minutes is enough to explore fully the whole mansion. I suppose, however, that's the point: the short time limit makes luck a more important factor. *"The better part of valor, is discretion; in the which better part, I have saved my life"---Henry IV, Part I, act 5, scene 3. The mansions are a great way for people to get involved in the server and try and jump start their way on the map. I believe on my latest run, I left with enough Lapis for about 30,000 Denari. For our new players, that is will on their way to having a good start on the map. The level of difficulty in the map I most recently was involved in was just right. Enough mobs laying around that you had to plan where you were going and how, but not so hard that you couldn't make a mistake either. If people want to up the level of difficulty, they can choose to use lesser equipment on their runs as well. As for the hiding places of loot, I think there is a great opportunity to have some great hiding places. It also encourages bringing of tools that one might not normally. In the most recent run I did, I brought a pair of shears with me, and I never use the otherwise. One needs to be efficient while working, which can also add to the challenge. While I never had a partner die on me while in the mansion, I can see where it can hurt someone from moving around. Even if there is little to no communication (like tifreak and I had in our run), I still relied on him to clear out rooms of mobs and to check out areas. He was able to eliminate areas for me so I knew not to check. Maybe in the future, we can have a mod or someone in the wings to assist if a player dies. The mod takes no loot, and can't help collect, but will help to ensure the mobs don't slow another player down. Just a thought. About the only issue I see right now with these events is the time it takes to get them up and running, and move from one to the next. I know some of that is making sure mobs don't despawn, as well hiding the loot, but I feel if there is a limit on how often one can go in, the admin in charge of the event can have a few lined up, and even reuse a map if they so choose. All in all though, I would love to see these, or other types of events more often on the server as they do seem to excite the player base and give them a reason to be on. Sometimes, it is just an excuse to play at that time instead of another. Thanks for the feedback. I agree that the turn around time is pretty slow. Since I plan to run these every few months, I can easily start planning and making a few mansions in advance. I've made a Google Calendar to put the server events on to but we just need to find a good page to embed it on. I've had two suggestions for the Play landing page but I'm against it. I'm willing to put it there I just think that page isn't set up to present lots of information; it's great for what it presents but I don't believe adding more to it is a good idea. In the future I'll probably have three time slots where raids happen. That way users know ahead of time and can "sign up" for a slot and it frees up my day a bit. If someone asks when the next raid is I can tell them there are reservations already. But I don't know and I'm still weighing the whole reservation thing. I definitely want to make it few times a day. The max number of times I can run the raid is about 3 anyways, since I won't permit anyone to do it twice in a day. That way no one makes a B-Line for where they know a good chest is or something. Regarding the prizes, I think I may have hid too much lapis on a few of the mansions and will certainly start hiding better loot/gear. I think I've seen enough runs that I can start getting creative about placing the chests. Maybe in the future, we can have a mod or someone in the wings to assist if a player dies. The mod takes no loot, and can't help collect, but will help to ensure the mobs don't slow another player down. Just a thought. Maybe; my whole idea with these was the challenge. This idea kind of removes that while at the same time lets players know there is a safety net. With the loot that these mansions potentially hold, I want players to play carefully and methodically. I do help out, if a player dies in the first few minutes then I'll likely bring them back in. But I feel this may be a bit too much. There are 275 users online: 5 members and 270 guests. © Copyright 2000-2019 Cemetech & Christopher Mitchell :: Page Execution Time: 0.187572 seconds.